In a time of great need for transparency and accountability, a new way is available to track politicians and legislative information. Political Tracker, Inc. announced the launch of state-of-the-art political technology (www.politicaltracker.com) in Georgia as it hosted leaders from some of Georgia’s top-notch media and political speakers for an evening of discussion on demographics and the political and electoral landscape in Georgia politics. 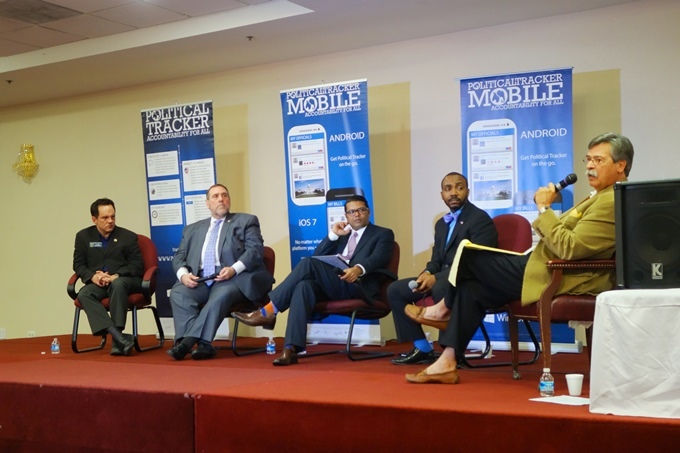 The Georgia Political and Media Summit 2014, held December 10, 2014 at the Impact Conference Center of Global Mall, also explored the future: the role of Asian Americans, African Americans, and Latino Americans in Georgia politics, and the impact of diversity in Georgia and United States politics and legislation. 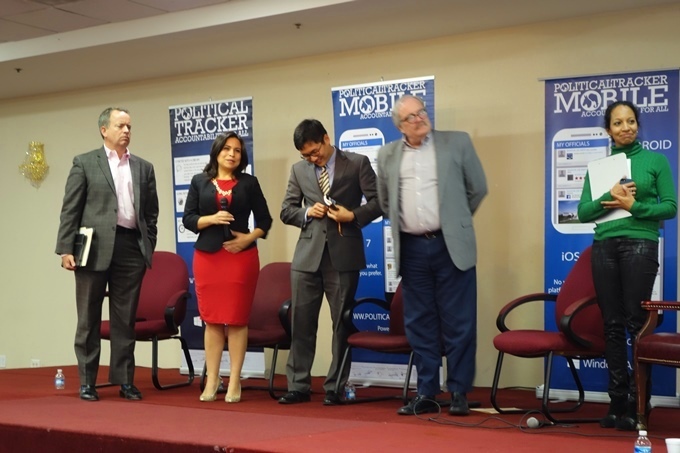 Political Tracker transforms the process with sophisticated micro-targeting and analytics. “So many political sites are look-up sites, and have only static data that never gets updated. None of the sites let the end user really track, discuss, or even get involved,” said Parag Vaishnav, CEO of Political Tracker. Advocacy groups, voters, state and federal legislators, trade unions, interest groups, chambers of commerce, and other government relations professionals now can now easily track political and legislative developments at the federal and state level (all 50 states) that can affect foreign policy, health and safety, business decisions, international trade, or other key issues, and can better discuss the hundreds of thousands of new bills introduced each legislative session in Washington, D.C and 50 states, make strategic business decisions, support or oppose bills, and spot developing political trends. Discussion included the large amounts of campaign money raised, the use of social media, Georgia’s need for public transportation funds, especially with the deepening of the Savannah port and increased traffic from trucking. DACA, guns in schools, and ethics were topics. The Media Panel (moderator: Maria Ebrahimji) also had representatives of minority communities, with Charlie Harper of Peach Pundit, Marriela Romero of Univision, HB Cho of Korean Daily, and Tom Crawford of Georgia Report. Readership, access to and interviewing of politicians, and various motivational factors in different communities were discussed. Finally it was noted that we have lost 4 rural hospitals, 15 are expected to close, one-third of Georgia counties do not have a General Practitioner, and over half have no Ob/Gyn! Again, funds need proper allocation.